« She’s clearly very ambitious..
Know You – We may not come across so well on social media if we have insecurities or lack confidence. Our uniqueness may not shine through our blogs or articles. Connecting online is only the beginning. I read a thread this weekend by John Murray who repeated Penny’s words on social media wisdom “Know me, like me and follow me“. Like Me – Last week, I travelled miles across country to meet ‘face to face’ a few members who like me. By travelling miles and giving up my time, I have already shown commitment and respect in valuing those business people. For me, there is no doubt that social media is a powerful tool that needs to be backed up and supported by 121’s to get to know the very real unique person behind the business. Follow Me – Later on Saturday, having travelled back to watch Swans 3 Leeds 0 game, watched for the first time in my life, from a hospitality box. That invite came from a lovely connection I made while championing Steve Hall’s cycling around the 92 football Clubs. I shared that exciting game with eight other supporters, six of who I had met for the first time that day. Within three hours we all had become friends, as we shared the excitement of Swansea City winning and the loyalty of the non-stop chanting Leeds fans, willing their losing side. 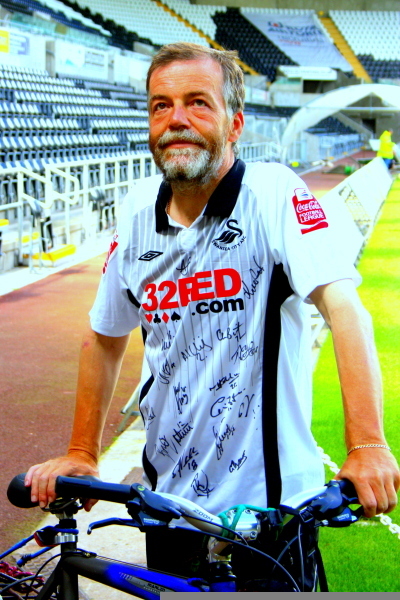 Networking the Sport of the 20’s – Steve Hall’s Fantastic Visit to Swansea City. Follow Me – Those who seek our company, our time, our value, our service. Breathing for business. I provide social media campaigns for small business owners and entrepreneurs to help raise their profiles online. I mentor business people and help them improve their focus, energy and clarity for new business. This entry was posted on Wednesday, March 2nd, 2011 at 5:51 am	and is filed under Business. You can follow any responses to this entry through the RSS 2.0 feed. Both comments and pings are currently closed.